Deluxe Mini-Burger Set | Patio and Hearth Co. 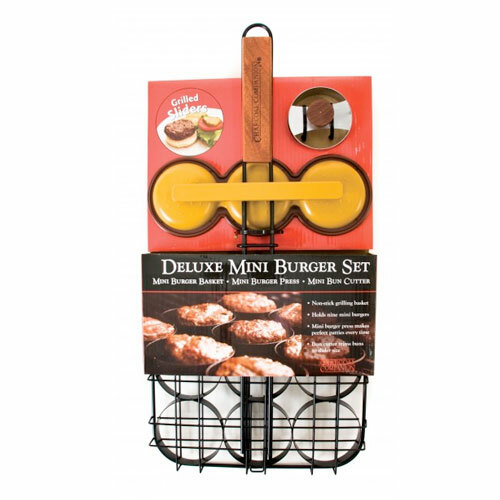 This deluxe mini-burger set includes a mini-burger basket, triple patty press, and a mini-bun cutter for perfectly sized buns. The mini-burger basket grills nine bite-sized burgers at a time while the patty press forms three burgers at once. Inquire about Deluxe Mini-Burger Set using the form below.